The No. 1 team has played in all three Saban-Meyer matchups. They're 1-2. Whoa. They got Pedro Cerrano? The College Football Playoff is officially BIG TIME. Just a reminder: #Pac12Refs calling this Sugar Bowl. A pregame smile from Saban… we’re all gonna die. HOLY CRAP, that was almost an Ohio State TD. How did the announcers not even notice that??? Elliot turning on the jets. How do we classify Ezekiel Elliott's jersey? An extra medium? Sean Neurnberger's 23-yd FG is good. #Buckeyes lead 3-0. Buckeyes bring a blitz on third down and they've forced two three-and-outs to start this game. Cardale eluding Alabama defenders like textbooks!!!! Ball at 5 on one possession and at 1 on other and have to settle for FGs. Jones’ fumbled snap cost Buckeyes big there. Settle for field goal. It’s 7-6 Alabama, 5:17 1st Q.
Ohio State is averaging 8.4 yards per play, is outgaining Alabama 168-45 and trails by a point. Tide are insane in red zone. Think Alabama wants to run left with Derrick Henry tonight? Over and over and over again away from Joey Bosa. TD, Sims to Cooper. Nice little move in end zone by Cooper to get space. That was a classic NFL drive. Stuff it down your throat, finish with QB waggle. OSU DL vs Bama OL had makings of a favorable matchup for Buckeyes but they are getting absolutely whipped up front. Guys are not open. And Cardale Jones is having to improvise. Tough spot for a second start. Say what you want about SEC speed vs B10….That doesn't even matter, fast is fast.. These trenches right now…..
Alabama took delay of game at its 47 before punting … because JK Scott needed the extra 5 yards to pin Ohio State at the 5. Amazing. Ohio State was one of the best teams in the country in field position. Not the case so far. Obviously, a miscommunication between Cardale Jones and Devin Smith. Smith kept running. Jones expected him to stop. Easy INT. Alabama going for it on 4th and 1 at the six. Alabama has cashed in on its scoring opportunities. Ohio State hasn't. Simple as that. 21-6, Alabama. Reuben Foster doing what he does on special teams seemingly every week. It doesn't seem fair that Alabama is allowed to play with live bears in uniform. Alabama's defense. Passing situations. It's like Groundhog Day. Not sure why Ezekiel Elliott hasn’t touched the ball inside the 10-yard line yet. Ezekiel Elliott touchdown. Buckeyes find the end zone. Not over just yet. That was just the fourth rushing touchdown Alabama has allowed this season. Ohio State is 7-for-10 on third downs, which isn't easy to do vs. 'Bama. Darron Lee is going to be a beast. Scratch that, already is. Alabama offense in Sugar Bowl: Four three-and-outs, three touchdowns. Feast or famine. JK Scott is averaging a mere 59.5 yards on four punts. Alabama does not cover the deep middle well. Not well at all. Cardale Jones takes off for 27 yards and Ohio State’s at the Alabama 13. That run had the flavor of Cam Newton, a man known for terrorizing the Tide. I think it took #OhioState awhile to adjust to this caliber an opponent. But now Buckeyes have found their legs. Oh wow what a catch. Wow. Evan Spencer to Michael Thomas with the circus catch and TD. Confirmed: That play was awesome. HALFTIME: Alabama 21, Ohio State 20. Crimson Tide with the lead, Buckeyes with the momentum. Devin Smith with the TD. #OhioState retakes the lead. Cardale Jones to Devin Smith, 47 yards, Ohio State touchdown. WOW. #OhioState is undefeated when Devin Smith scores. 21-0. New strategy for Urban Meyer: Don't even try to return JK Scott punts. Still doesn't matter. Scott with 65-yard punt. Cardale Jones is and will forever be undefeated at red rover. This is the greatest punting exhibition in College Football Playoff history. A stat I rarely tweet: Yards per punt. Alabama 60.6, Ohio State 58.5. Punt fest at the Sugar Bowl. Steve Miller pick six. Strike up the Steve Miller Band. Alabama trails by 13, its largest deficit in any game this season. I have no idea what Lane Kiffin is doing but I don't think he does either. Derrick Henry is a frightening individual. Blake Sims keeps, 5-yard TD run. Tide responds. Think about how many decades it took college football to figure out that three huge games > one huge game. Alabama adjusted to Cardale Jones runs up the middle. Important stop by Jonathan Allen. Darron Lee has been the best player on the field. Still hasn’t. RT @38Godfrey: Bama hasn’t converted a 3rd down longer than 4 yards. Golden Tee backspin. Should have gone with roll. Net 21-yard punt? That totally screws up the battle of the punters narrative, Ohio State. Vonn Bell doing work. This is a weird roller coaster. Lane Kiffin might be Ohio State's defensive MVP right now. That's 3 straight 3-and-outs for Ohio State offense. 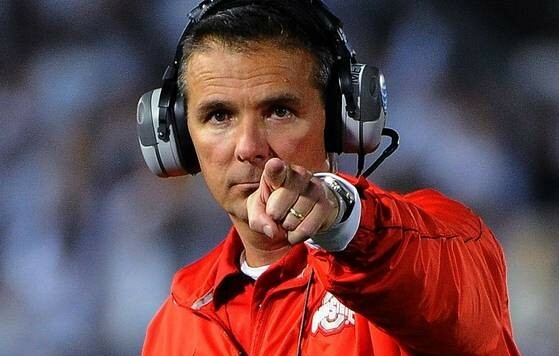 Urban Meyer is furious and just threw his headset because refs called running into the punter instead of roughing. Darron Lee is having a monster game. Superstar in the making. Darron Lee. Unsung hero of Ohio State's season. Not enough Derrick Henry and then the quarterback draw … but why? Another gorgeous punt from JK Scott pins Ohio State at its own 2. Ezekiel Elliott with a 85-yard TD run! Ohio State’s up 40-28 with 3:24 left. PAT coming. Evan Spencer with the key block. 85-yd TD. Elliott has 230 yards. Urban Meyer tried to get a timeout before Alabama 4th down TD. Evan Spencer skies to recover the onside kick for Ohio State. Alabama does have two timeouts left. Ohio State calls their worst series of the game in the final 2 minutes?? I can't understand anything Ohio State just did. Unreal. Alabama will start at its own 16, down 42-35 with 1:33 left and no timeouts. Still shaking my head at pass play, which gifted Alabama about 30-35 seconds. Defense must hold for 1:33 or else they'll never live it down. Sims' lack of awareness is noticeable. Alabama is at the Ohio State 42 with 15 seconds left. That is an abortion of clock management like I've only seen… six… maybe seven times this year in person. Sims goes deep for DeAndrew White but it’s broken up by Eli Apple. 8 seconds left. Thank you Bama for taking your sweet home Alabama time the last minute of game….